This is a great thought and a must for all those aiming to crack the entrances. When you are a captive of the environment in which you first find yourself, it means you do not wish to change or do anything more than you can already do. If you keep doing what you already know you will only get what you already have. To achieve success, to get things that you never had you have to step out and learn new things. 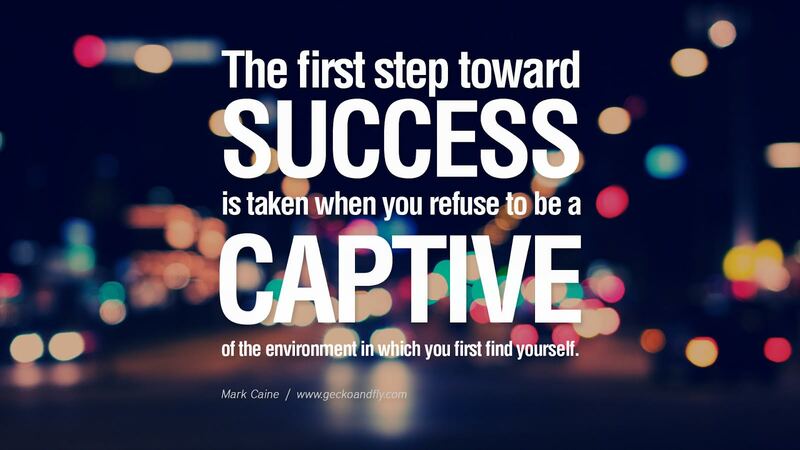 Discover ways to improve yourself and refuse to remain what you already are. 1. Make a time table and follow it, study daily. 2. Wake up early and study for some time in the morning. 3. Start asking your doubts as soon as you develop them, if you hesitate to ask your teacher find another guide to help you. 4. Eat a balanced meal and exercise regularly.